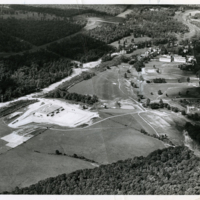 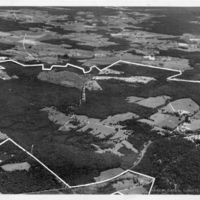 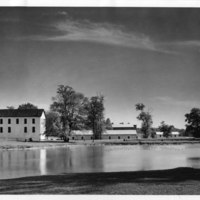 Photograph showing buildings and pond on the A. Smith Bowman family's Sunset Hills Farm looking toward the east. 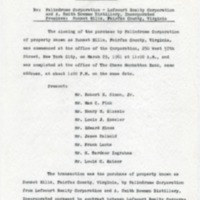 Document which details the closing on the sale of the Sunset Hills property on March 29, 1961 to Robert E. Simon, Jr.'s Palindrome Corporation. 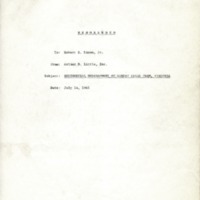 Details include participants, date, location, time, and terms of the sale. 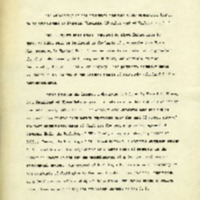 6 pages.